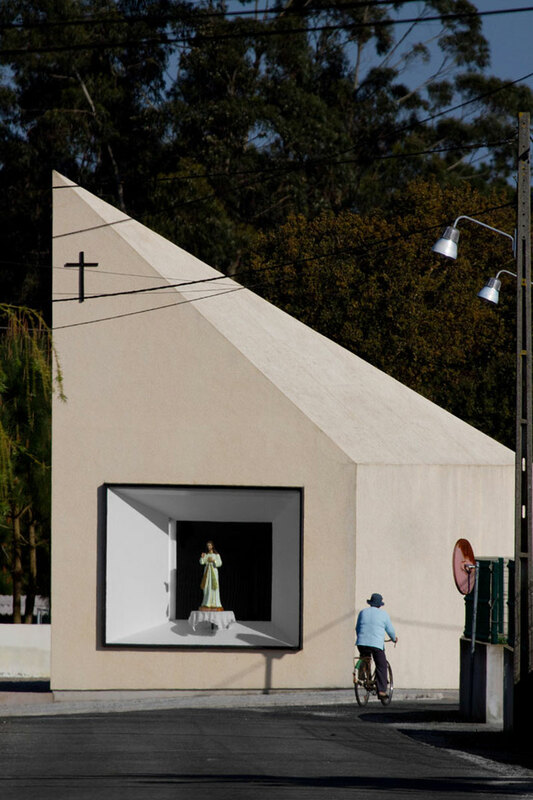 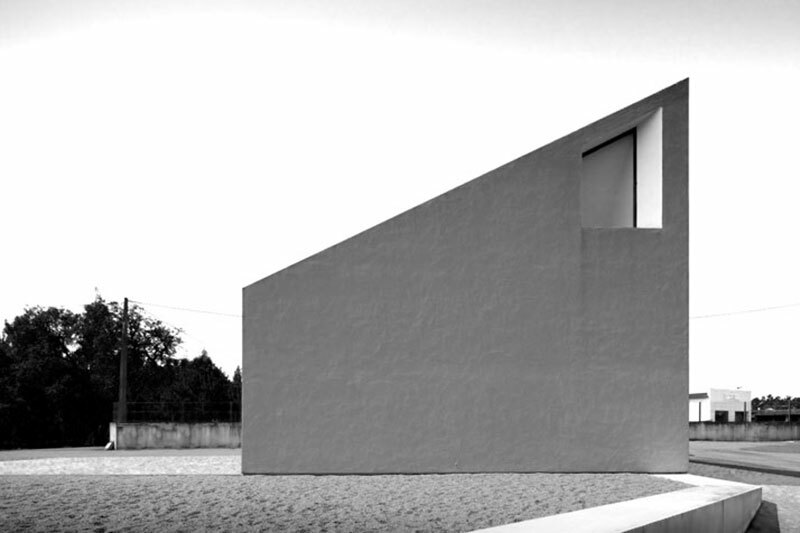 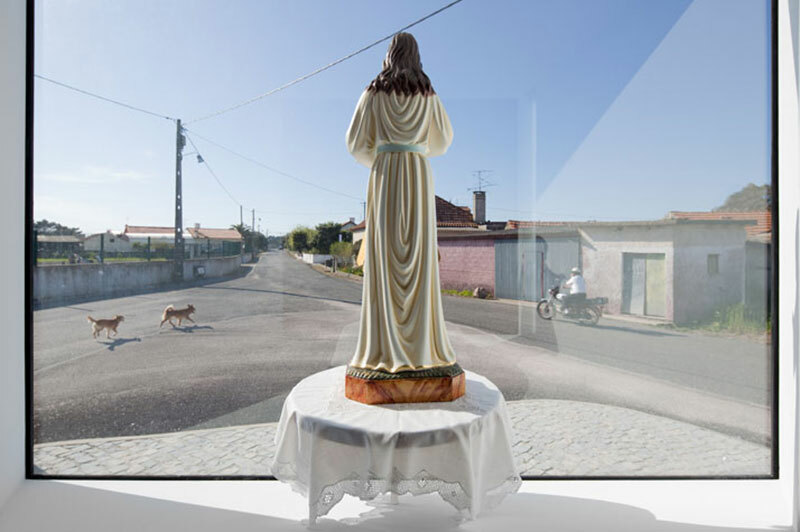 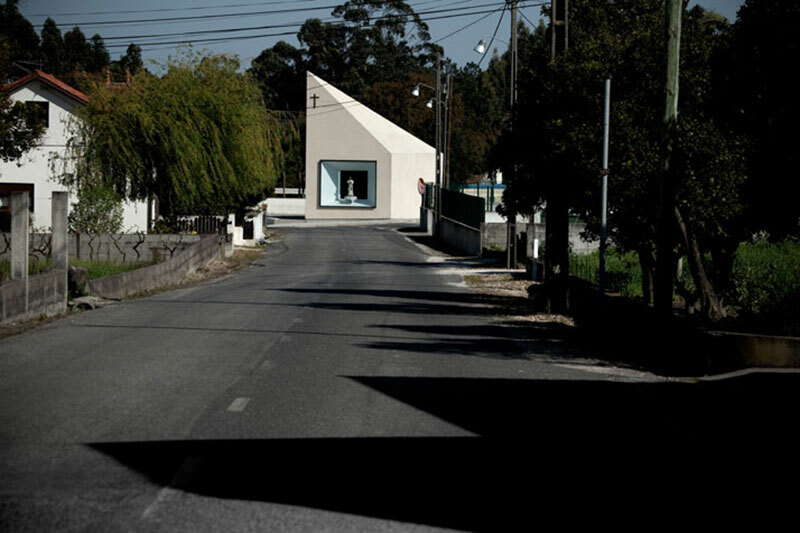 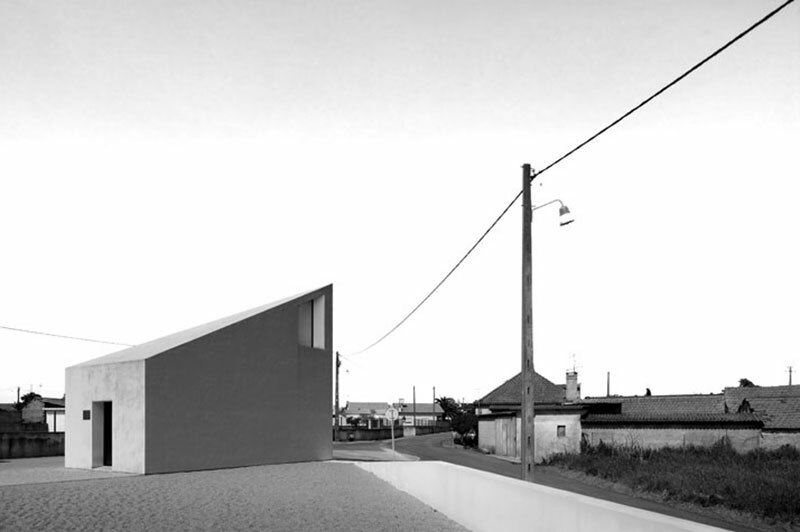 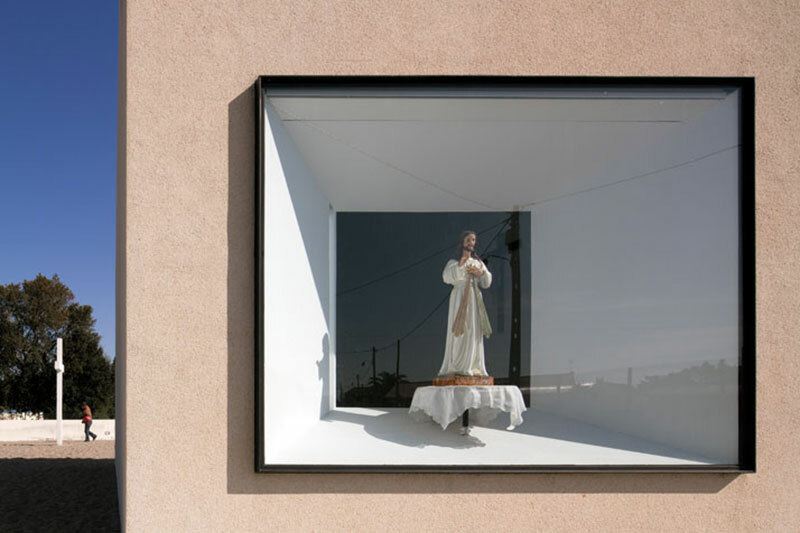 Designed by architect Pedro Maurício Borges, this chapel located in Portugal’s Figueira da Foz looks more like a contemporary store than a place of worship. 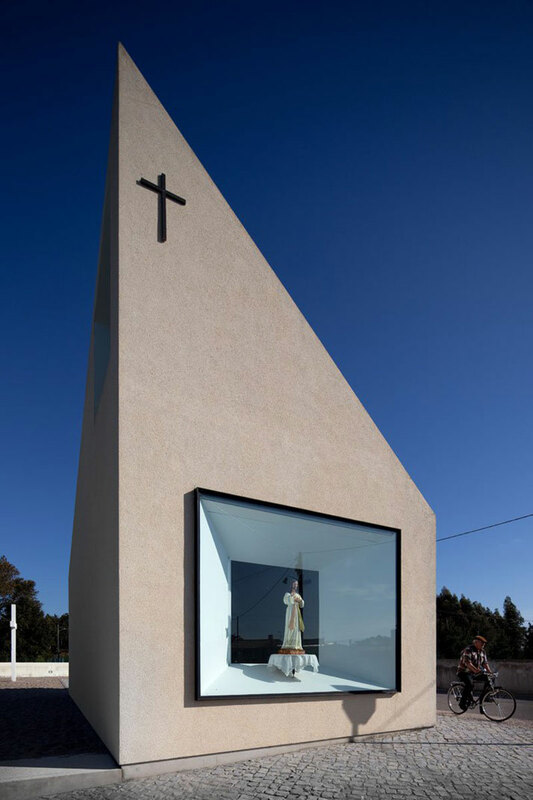 The chapel consists of just three openings, two windows and an entrance, but the main attraction is the rectangular display window that protrudes out and acts like a picture frame. 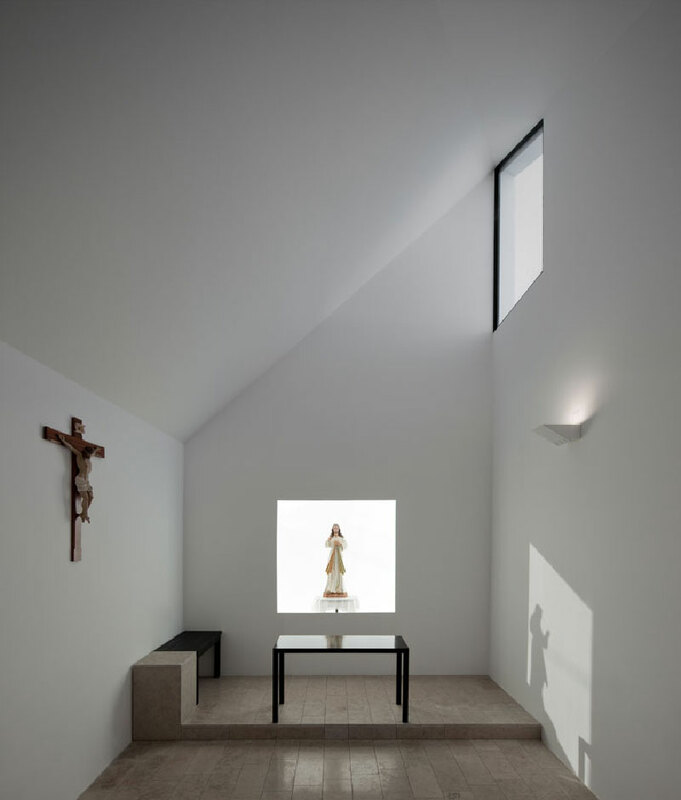 A second window on the inside of the chapel is the complete opposite with the window punched in so it's level to the interior wall. 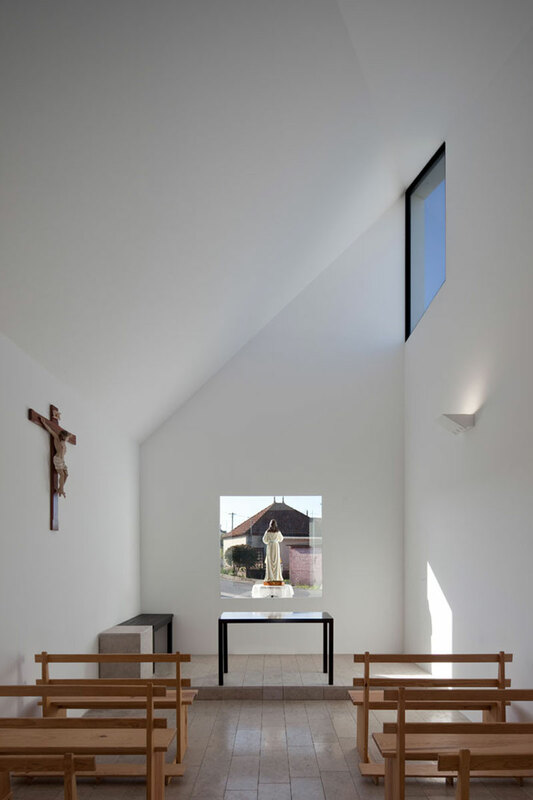 The all-white interior is simple and minimal with monasterial seating benches and a black framed office desk as the altar so as not to distract you from what you are really here for. 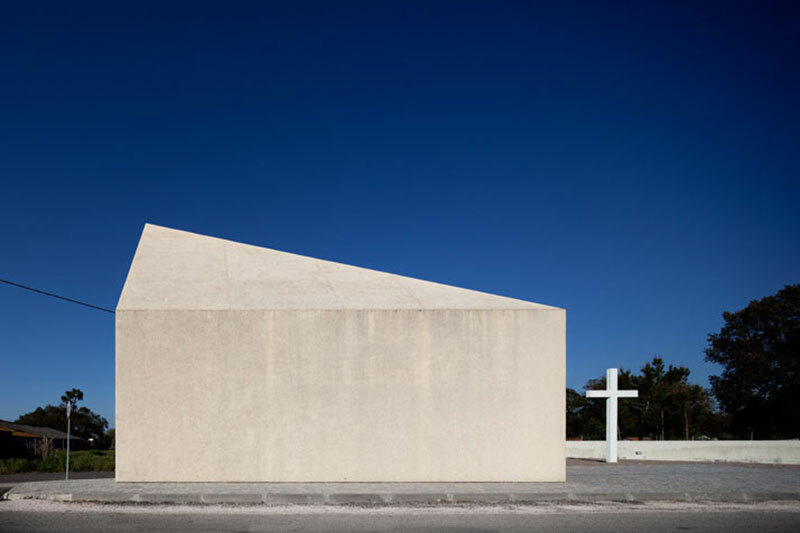 Designed by architect Pedro Maurício Borges, this chapel located in Portugal’s Figueira da Foz looks more like a contemporary store than a place of worship.